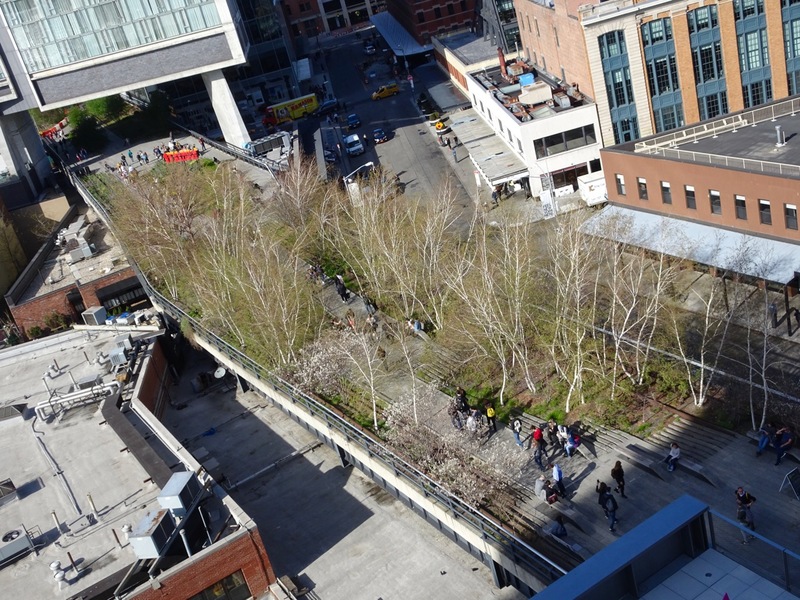 The High Line: on this year’s trip to New York, we finally got to see it greening up for spring. From a balcony at the Whitney Museum of American Art. 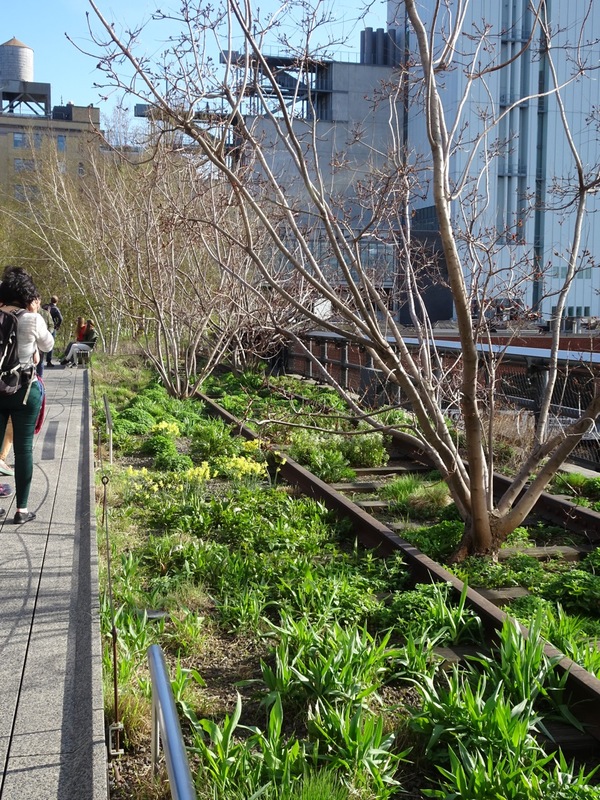 The High Line: a 1.45 mile long park in New York City, created on a stretch of elevated railway that was no longer used. Looking back toward the Whitney. 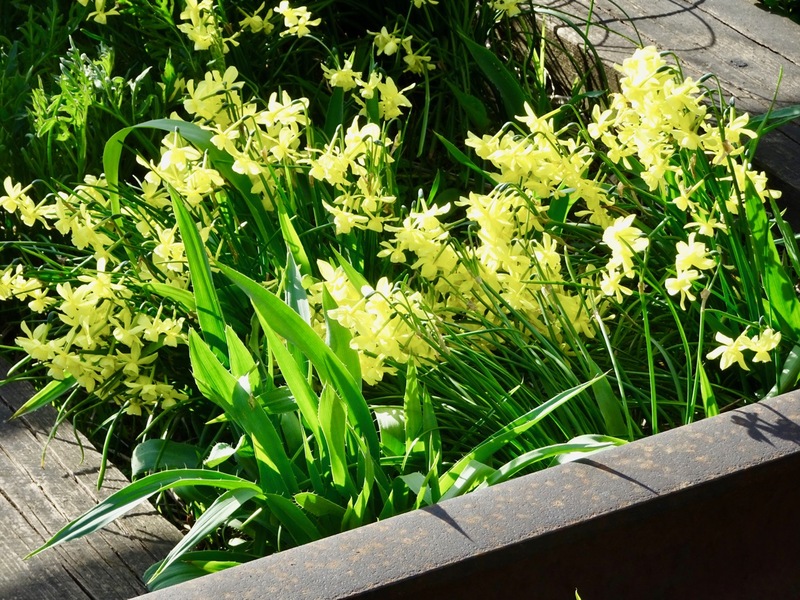 I love it that pieces of the old railroad track are incorporated into the landscaping. The daffodils were blooming. That’s a first for us, after the last two years when we traveled in March and were blessed with snow. 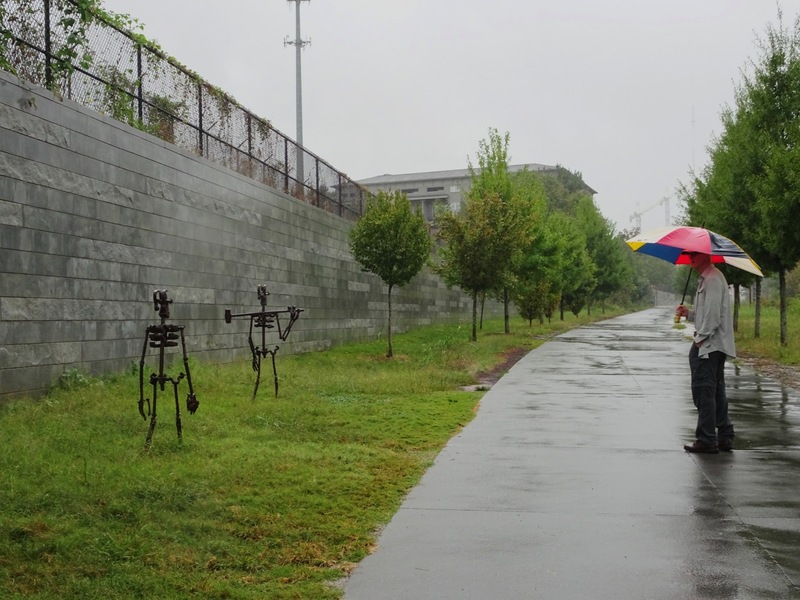 At home in Atlanta, we have the BeltLine, not elevated like the High Line, but destined to be much longer. It’s a proposed loop of around 22 miles of trails planned to connect 45 neighborhoods. Here’s Sam on a rainy day last fall. It was one of the days with lots of hurricane-engendered rain, and for a while we were the only ones out braving the storm. The BeltLine already needs a new lane. It’s often mobbed. Between speeding bicycles and people with dogs on long leashes making trip-wires, it can be difficult to walk safely. The bridge on the other end of town is a background in this next photo, a family history photo now — the girl wearing glasses is my mother at 16. 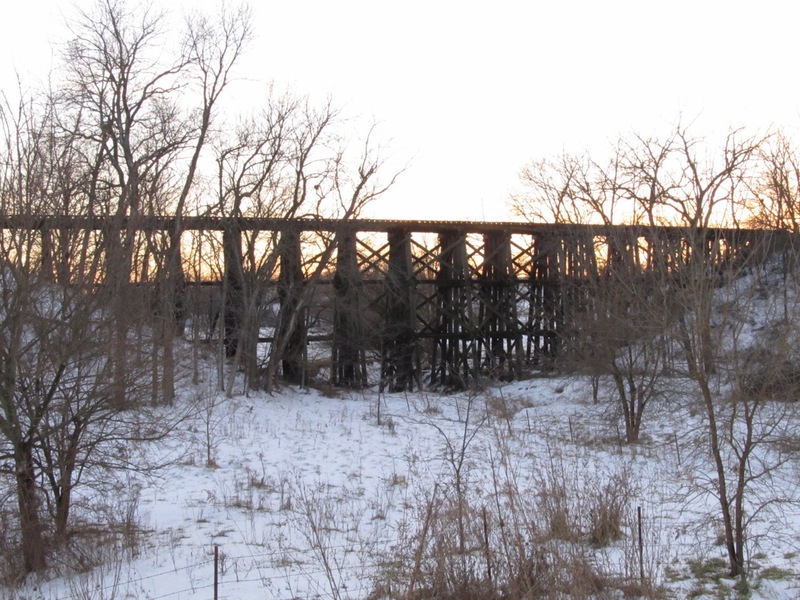 When I was growing up there, we walked on the railroad tracks, played on the bridges (gasp!) and along the way, picked berries and asparagus that grew beside the tracks. With all these railroad track paths, it sounds like I’ve spent my life walking railroad lines, doesn’t it? Do you have a favorite rail line path? 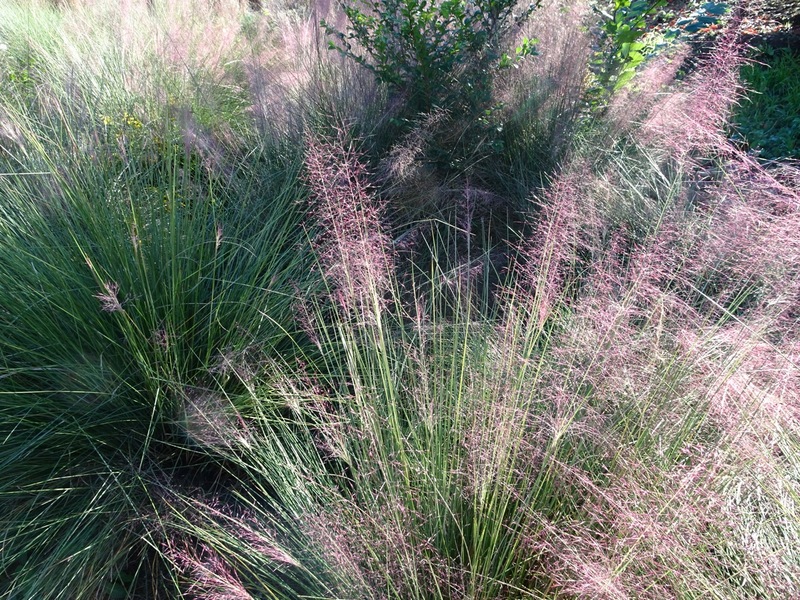 More on the Manhattan High Line Wow – I see you can adopt a plant. 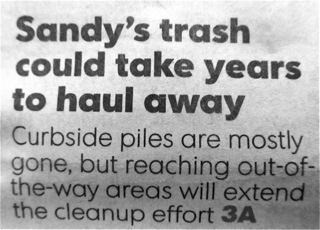 I’m considering… I’d want to see updates on mine though, and maybe visit it each year to check on progress and be allowed to give it a little compost treat. This entry was posted in Art, Environment, Home and Garden, postaday, Weekly Photo Challenge and tagged Atlanta BeltLine, New York High Line. Bookmark the permalink. It’s on my list the next time I’m in NYC. Great photos! Thanks Mickey – on the High Line, I think it’s a relief not to have to share the walking path with bicycles. Also a plus for us tourists that it begins (or ends, depending on your perspective) right at the Whitney. Their gallery walk/tours are excellent. We loved the Grant Wood retrospective that’s there now. Love the High Line! Try to go every time I visit NYC. It’s always different. I’ve never been in on it in autumn, am tempted to try to wait until October for an NYC trip next year. Laurel! Thanks for commenting – do you ever get back to Atlanta? I hope you make it to NYC, as you can see, I love going for many reasons – just beware the summer heat and winter storms. Your bush trails sound like a great walk, and it reminds me that I’ve been meaning to find some local nature trails to explore. 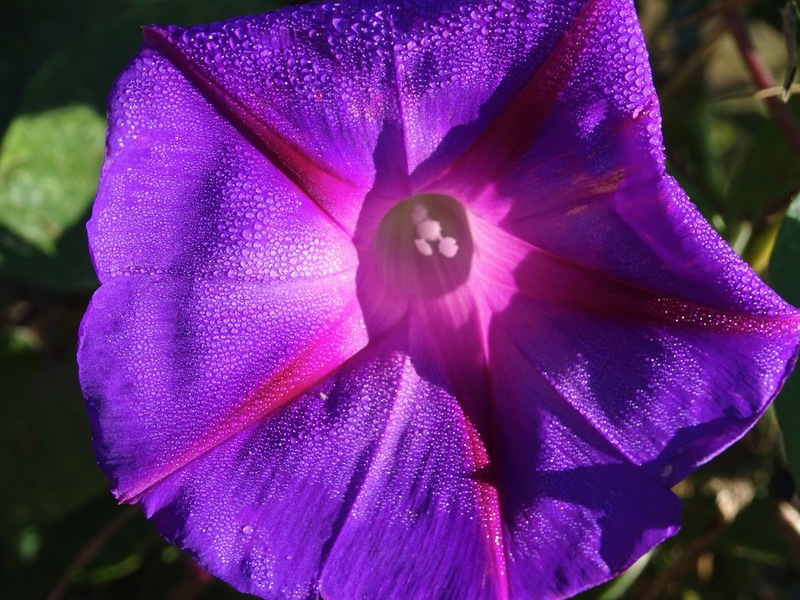 Alexandra, I miss you too – have been thinking of finding a good AWC critique group. It sounds like you’ve been getting lots of writing done!